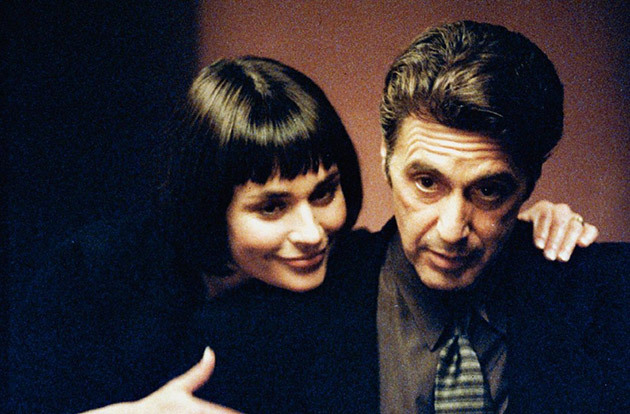 Michael Mann’s Heat (1995) is the culmination of a career long obsession for its creator. For as long as Mann has been a filmmaker, he’s constantly returned to the same subject: the intricacies and nuances of characters operating on both sides of the law. Cops and criminals, officers and thieves – and the thin line that separates the two. He’s not so much interested in the violence that happens, although that is certainly a present detail. Rather, he narrows in on the elements that define these people; the processes that differentiate them while drawing the parallels they share. One cannot exist without the other, but both cannot simply be described as “good guys” and “bad guys.” Mann paints an urban jungle populated with characters that exist outside of societal norms, not through an urge to rebel or buck the system, but because they don’t know any other way to live. This is not your standard action picture. There are your usual tropes: tough guys, guns, shootouts and explosions. But Mann reaches for something deeper, more meaningful. His screenplay transcends those familiar beats with characters that are introspective and acute. They’re hardened and lined with middle age, carrying the burden of a lifetime of experiences, often with the bad outweighing the good. And yet, it’s that knowledge that makes them who they are: skilled, proficient, and effective. Their identities are marked by their professions; the talent they possess comes from constantly encountering the other side. As much as the authorities hunt criminals, and as criminals strive to avoid their pursuers, both excel because of the other. Heat was the result of a decades long interest in this field. With extensive research, Mann initially brought this story to the screen in L.A. Takedown (1989). But his vision of this world has spread through his entire career. 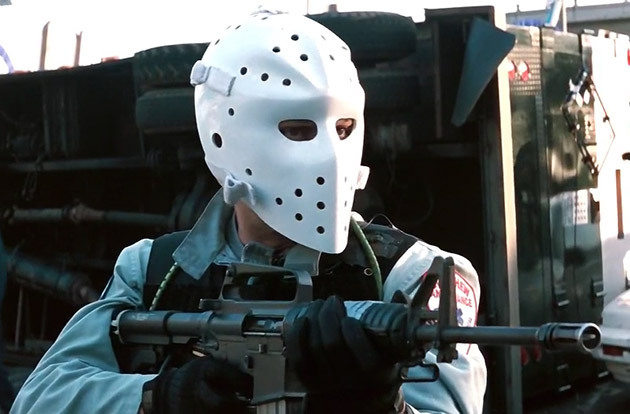 In Thief (1981), Manhunter (1986), Collateral (2004), Public Enemies (2009), and in both versions of Miami Vice, Mann seems almost unwilling to step away from this topic. His characters are more or less always portrayed in suits, are surrounded by urban landscapes, and most of all, are immensely precise at what they do. That may very well be Michael Mann’s signature trademark: his insistence on detail. Not much is more impressive than seeing someone perform a difficult task and make it look effortless. That certainly applies here. In his sprawling, near three-hour epic, Mann presents his themes in the most strictly carved out fashion. Officer Vincent Hanna (Al Pacino) and master thief Neil McCauley (Robert De Niro) represent this dichotomy. They are two opposing forces that rotate around each other, vying to get the upper hand. Much of the pleasure here is in seeing the cat and mouse game, as Hanna tries to capture the elusive McCauley. Mann doesn’t just stop there though. Instead of only staying with the procedural aspects, he expands the story, broadening the scope to include families and friends, associates and partners. In doing so, he’s created a whole universe of characters that feel fleshed out, so when the drama escalates, the impact has a greater emotional resonance. For example, Mann spends a dedicated amount of time with Chris Shiherlis (Val Kilmer), one of McCauley’s partners. 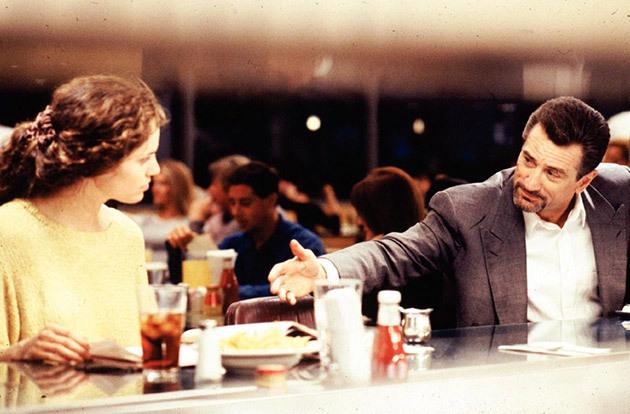 Shiherlis is a talented criminal, but his strained relationship with Charlene (Ashley Judd) has taken a toll on him. Shiherlis loves her, but his criminal life will not allow them to have stability. This goes against everything McCauley believes in; that everything you have you must be able to walk away from when you feel the heat coming your way. Shiherlis struggles with this, which makes his story thread all the more tension-ridden as the plot unfolds. The same can be said for Donald Breedan (Dennis Haysbert). Breedan is a minor character that ends up being McCauley’s getaway driver. His screen time only lasts a few minutes. And yet, his story is just as gripping because Mann makes the effort to develop his background. A convict out on parole, Breedan tries his best to set his life straight and make his girlfriend proud of him. But working a dead end job with a slimy boss makes it all the more difficult. One of the more emotionally effective scenes has Breedan questioning why his girlfriend is even with him. Mann includes this tiny little scene – brief but excellent – to lay a foundation for Breedan. Not many filmmakers would do this for a character most would dismiss. It’s all in the details. But let’s not fool ourselves; this story is about Hanna and McCauley. The casting is a stroke of brilliance. Al Pacino and Robert De Niro are two of the best actors of their generation, and here we get to see them perform at the top of their game. It’s a back and forth of contrasting styles. Pacino with his over the top gesturing born out of the theater, and De Niro utilizing his subtle, made for the screen approach. They have played cops and criminals so often they could do it in their sleep, and in recent years that may very well be the case. But here they bring a fresh perspective. Their work is two sides of the same coin, and although there is a lot that separates them both as actors and as their characters, there is a level of mutual respect. Hanna and McCauley acknowledge the other for who they are, even though both are more than willing to take the other down. The obsessive nature for their craft creates an understanding that only they can comprehend. Within this context, they may be the only two people in the world who can empathize with the other’s position.